On the resignation of the Assemblies of God’s current superintendent, Rev. Thomas Trask, and the chaos that is in its wake. Wherein I opine on matters explicitly not my business. I’d like to make it perfectly clear at the outset: I am not a credentialed Assemblies of God minister. I’m not a credentialed anything really. I’m blogging on this matter because it’s of interest to me as an Assemblies of God churchgoing Pentecostal who loves his Fellowship and because it’s also of interest to you, my faithful readers. Oh, also because I tend blog on this sort of thing, and I promised you that I would. What you are about to read (if you read it) is opinion mixed with some facts. I will try to source the facts where appropriate, and they’re a matter of easily findable record via Google and such. My opinion and and layman’s speculation, however, you can only find here. Well, elsewhere, too, but mostly here. Or, at least, officially here. If here can be in any way official. I hope you find it an enjoyable, if lengthy, read. And I invite you to interact in the comments section. According to the record set forth by fellow PneumaBlogger, Darren Rodgers at the Flower Pentecostal Heritage blog, Tom Trask first announced his intent to quit at 9:00 am on Tuesday, July 10, 2007. The audience was the General Council’s Board of Directors, which includes all the executive leadership at the A/G headquarters. Then, after all the staff had trickled back in from lunch, when sugar comas were well underway, and just before the early-birds left for more enjoyable after-work activities, Trask read a brief statement over the headquarters PA system. It was 2:30 pm. One HQ staffer wrote to me, “The day that Trask made the announcement over the loudspeaker of his retirement, the general reaction of my department was shock.” By 4:00 pm an email went out to the “AGMinister” newsletter. I got my first “heads up!” at 3:59 pm that day. Within minutes the newsletter discussion groups I participate in were abuzz. I mean, literally abuzz. If you put your ear close to my laptop keyboard you could have heard it. Sure, maybe it was the noisy fan or the flickering monitor or maybe the coffee I spat when I read the email. But I like to think it was all the nervous, excited, and worried electrons my friends were firing back and forth. Within a few hours — before Tom Trask’s email had grown cold, before the troubled echoes in the carpeted halls of the Blue Vatican had faded away, even before the Gray Mecca’s ex-chef Stan Horton even had a chance to look up from his faded menus, names were already being tossed around for consideration, examination, and excoriation. This minister’s personal experience of a failure of authority at best (and an abuse of authority at worst) leads him now to question if there aren’t deeper issues at stake in Trask’s sudden and ill-timed resignation. While I’ve certainly seen documentation and accusations attesting to Trask’s (and others) abuse of authority and power, I have to remain agnostic about this because I am not a minister, I am not an employee of the General Council, I was not privy to Trask’s private announcement to the HQ Board, and I am not a close personal friend who calls our Supe “Tom.” I’ve never even been kissed or patted on the cheek. As one friend said, “I don’t have a dog in this hunt.” But having witnessed Trask in one public outburst of semi-anger and frustration I’m therefore not able to dismiss out of hand the claims that I’ve seen. Please understand: I’m not asserting nor am I even implying that I believe some sort of ethical or moral wrongdoing is prompting Trask’s resignation. I truly believe if that were the case, it could not be hidden, and I don’t believe Trask would be so underhanded as to lie and claim God’s leadership if he were resigning due to some pending scandal. I reject that theory. I primarily bring up the defrocked ministers and their claims of abuse at the hands of authority because it seems they’re among the few that demand the same transparency from Trask that they offered him. If the apostle Paul could model this kind of transparency (more on that below), and we expect our pastors and district leadership to answer difficult questions without appealing to private revelation, then it simply seems reasonable that the top leaders of our Fellowship should aspire to a similar standard. I’d rather leave when they’re saying ‘why’ than saying ‘when. And so, along with names tossed up for consideration, there came the inevitable discussion and speculation on true motives. Ministers and non-ministers alike were divided on the issue. Most held out that in the absence of any further explanation, it would be improper to question or speculate on Trask’s explanation beyond what he’s already, tersely, provided. Others, however, argued that since this is the first time in the history of the Assemblies of God that the top officer of the Fellowship has vacated his position without a divine send-off (E. N. Bell and Wesley R. Steelberg both died in office) then a better explanation is in order — if only to demonstrate accountability and transparency. Oh, and it’d be nice to simply quash pesky questions and speculation and put the kibosh on magnum e-cartas like this one. The Sour Grapes of Wrath? Paul’s decision to travel to Jerusalem — effectively resigning from his missionary journeys — started with a decision. But he didn’t just ponder it. He declared his intention to his traveling companions. Naturally, then, the issue was debated, discussed, and examined over several months. Opinions and emotions were laid out “through the Spirit.” And Agabus, a card-carrying, certified prophet, described what would happen to Paul, with encouragement to cease and desist! Yet after all that public examination, after all the debate, after all the counsel, Paul remained firm: “When he would not be dissuaded, we gave up and said, ‘The Lord’s will be done. '” People other than Paul were definitely hearing from God on the matter: the prophecies prove that. But it took the community of Paul’s fellow saints to discuss it with him before they all came to a settled understanding — and acceptance — of God’s will as it was first revealed to Paul. My point in highlighting this one (of many) examples of God’s leadership through private revelation is simply to say that even when the Spirit compels us, and even when faith is required to obey, it would seem odd that the best course is to spring a last-minute surprise upon the people we’re ministering with. If it’s God, what he’s laying on our heart to do will be made clear, not only because (as is biblical) it will be confirmed by fellow saints but because private revelations must be tested and discerned publicly by fellow, Spirit-filled leaders. So, what happened four to six months ago to precipitate Trask’s fasting and praying in order to consider terminating his current journey? Coming a scant four weeks before a business meeting literally years in the planning this resignation certainly does introduce change. In all fairness, Trask did effect a lot of change within the A/G, helping to position it for greater relevance and greater (possible) influence the best way he knew how. To do this, he successfully led efforts to marshall greater authority with the resident executives between executive presbyter meetings and between the less-frequent general presbyter meetings (for example, see the creation of the General Council Policy Manual resolution and revision to the Constitution and Bylaws passed in 1999). He led the “Vision for Transformation” reform, which is attempting to reorganize certain aspects of headquarters business for greater speed in responding to ministry demands. Under his watch the AG Loan Fund became the A/G Financial Solutions group, which he chairs and which currently has $2.5 billion in funds under management. He wiped out a $5 million deficit. He instituted or revitalized the Commission on Discipleship, currently chaired by Charles Crabtree, in an effort to examine and repair critical problems with our Fellowship’s discipleship failures. Under his watch, sovereign churches can once again credential ministers for local ministry (we used to have this in the form of “exhorter’s papers”). And under his watch women and minorities are invited to enjoy greater positions of influence. When Margaret Poloma, church sociologist and historian, wrote her ground-breaking book, The Assemblies of God at the Crossroads, she noted that the A/G was heading toward increasing ossification and centralization. That we were well into moving away from our earliest days fires of revival and were turning from a cooperative fellowship of like-minded ministers into a centralized priestly class of bureaucracy. Unless the trend were addressed and reversed, the Assemblies of God would go the way of similar previous revivalistic movements: we would become respectable, mainlined, and institutionalized. And stagnant. “Centralizing” power and authority in Springfield was probably not what Poloma had in mind as a way of reversing that trend. And that strategy has produced its own unique pressures, including the foretold stagnation (in America, at least). Note: The resolution linked to in this paragraph — without a hint of irony — re-defines “voluntary cooperative fellowship” as “voluntary obligatory cooperation and participation.” Know your terms! What Poloma didn’t know back in the late 80’s has since become clear: the CEO-driven hierarchies of the 80’s and 90’s have flattened. Thanks to the Internet, postmodernism, and the Emergent conversation, what was once old (a voluntary cooperative fellowship of like-minded ministers banding together to escape ecclesiastical despotism) is becoming new once again. And the pressure of the new is stressing the fault-lines in our CEO-driven model of ministry. It’s surely been stressing Trask, too. The current crop young ministers and candidates for ministry in the A/G have been dyed in the wool on the flattened anti-hierarchical structures of the Internet age where respect is granted based on abilities, gifting, and real leadership skills rather than resumés, positions or titles. Leaving aside the theology of a flattened hierarchy, young ministers today (under 40, if you must draw a line somewhere) are heavily influenced by the Emergent conversation, Blackberrys, iPhones and iPods, prolific social networking technologies, instant and ready access via VOIP and IM and WiFi, loosely-joined networks of virtual relationships and short degrees of separation via networks like FaceBook, LinkedIN, and MySpace. Young ministers like Mark Batterson, Paul Stewart, Brad Leach, Jeff Leake, Tory Farina, Bryan Koch, David Crosby, Jr. and Daniel McNaughton aren’t going to wait for the 50-and-older set to tell them who to follow after the General Council vote: they’re going to find out now who the best candidates are, what the top issues are, and what the larger A/G world is thinking without having anything filtered by headquarters. How, you ask, do they do this? Easy. Note: I stand corrected regarding the “I want to be George Wood when I grow up” FaceBook group. That group was actually created by Laura Wright because she simply loves George Wood (as do I!). She wrote: “I actually created the group back in April and it had nothing to do with the run for GS. I actually just liked the man when I met him in my Princeton days at the conference for A/G students at non-A/G seminaries. I also found groups entitled “AG Worldwide” annoying because they take themselves entirely too seriously.” They create a blog (FutureAG, AGLeadershipChange) or they set up whimsical FaceBook groups like “Eric Treuil for General Superintendent of the Assemblies of God,” “I want to be George Wood when I grow up,” or “Dan Morrison for General Superintendent of the Assemblies of God.”) and within days get thousands of unique visitors stopping by, hundreds of comments and contributions, and some interesting poll results. At least these guys aren’t leaving: they’re trying to effect change by using the tools of influence and leadership (yes, leadership … using technology) they intuitively understand and have already mastered. So, while the A/G and its current crop of leaders — with Trask at the helm — has become more bureaucratized (despite the Vision for Transformation) and hierarchical, the culture at-large has flattened. Because of this “authority vs. leadership” gap (or “driven vs. drawn,” if you prefer) some of our younger ministers are feeling left out in the cold, abandoned, ignored and, in some cases, ostracized because they have challenged the hierarchy or simply don’t get it. What’s ironic is that this leadership-style chasm is not primarily driven by age. This becomes clear when elder ministry leaders of super-mega-churches like Maury Davis and his mentor J. Don George start weighing in on personal weblogs while the A/G headquarters doesn’t even offer one itself … well, it becomes clear that it’s a “paradigm” thing, not an age thing. And what did Trask conclude at the end of conducting these fora? It seems likely to me that this resignation may have been partly catalyzed by this disappointing realization. Rather than just a “Back to the Altar” program for the man- and woman-in-the-pew, perhaps Trask is realizing that the church’s leadership itself needs to alter in some fundamental way. It wouldn’t seem to be a stretch to me that the Holy Spirit used these Young Minister fora to help Trask realize this epiphany. And perhaps, too, the timing for this leadership shift is perfect and perfectly divine. George Wood’s term is up. Charles Crabtree has announced his retirement. Bridges has been rumored to be considering retirement. And John Bueno was pulled back from the ledge (with Trask leaving that may change). If Trask stayed on the only continuity would be provided by Alton Garrison, the newest member of the team. Perhaps Trask is hoping for (or foresees?) a non-sexagenarian pastor with national visibility to be tapped for the top slot. If so, he isn’t alone. 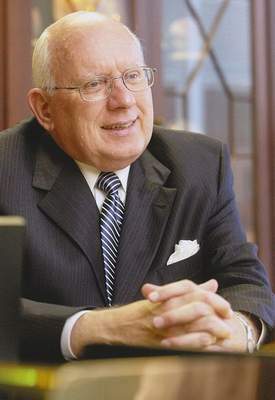 Nearly every announcement of Trask’s resignation is accompanied by seemingly hyperbolic and high-strung phrases like: “pivotal moment” (John Maempa, AG Prayer Center), “significant turning point” (Bob Mitton, pastor of Red Oaks AG), “a watershed event in our fellowship” (Pastor Chip Sanders), and “time for significant change” (Gary Bruegman, National Institute of Marriage). According to a recent email … from AGTS, only 8% of the 33,000+ credential holders in the AG are under the age of twenty-nine. And only 24% are under the age of 40. That means that unless we see an increase in young men and women being credentialed, we could be looking in the mirror in a few years at some tired faces. Perhaps there is a crisis after all, the hyperbole ain’t such an exaggeration, and it truly is a good time for the current crop of leadership to step aside? According to scuttlebutt (but not verified by news reports, sorry), Trask recently underwent surgery around May of this year and one staffer reported that “It seems like it took a little longer to heal than they thought it would,” while another reported that Trask has exhibited some fine motor control with tasks like replacing the cap on a pen. It’s impossible to make an armchair diagnosis, but I’ve heard the speculation regarding deteriorating health so frequently that it may well be a looming concern. And as with happens with Presidents and Prime Ministers, the stress of top leadership seems to accelerate age. Compare these two photos of Trask. The first is a portrait taken earlier in his leadership, which I found on the A/G website about two years ago, but I recognize it as dating from at least 1995. The second is from a recent interview given to the Springfield News-Leader in Springfield, Missouri. Being the target at the top of the A/G food-chain wears you out, man. I get the impression from reading some of the posts and comments that many are not familiar with what the general superintendent actually does. Is everyone aware, for example, that the general superintendent is chairman of the board of AG Financial Services, which has $2.5 billion in funds under management? That he is the denomination’s liaison not merely to other American denominations and parachurch organizations (such as the National Association of Evangelicals), but also to over 200 international churches through AG World Fellowship (and similar trans-national organizations)? That he exercises a sizeable influence on national ministries (children, youth, adults), publications (GPH, Pentecostal Evangel, Enrichment), and our institutions of higher learning (Evangel, CBC, AGTS, etc.)? Additionally, he is our primary spokesman in the national media as well as liaison to political organizations (the parties, the Congress, the White House)? And, honestly, that barely covers the job description. Trask also has to put out fires — or avoid the fires — when issues from local churches rise to the level of national leadership attention (as I mentioned earlier). Good or bad, like it or not, even avoiding getting involved adds stress. Pile on committee meetings, policy meetings, presbytery meetings, conducting fora, preaching, infinite administrative tasks, hosting visiting dignitaries and General Superintendents from abroad, scandalous NAE fallout (read: Haggard), and on and on, I’m surprised he hasn’t visibly aged more than he has. Must be all the jowly greetings with a “holy kiss” that keeps his cheeks baby-skin smooth. So, why, again, is he leaving? And Trask has stated his desire to be an interim pastor for churches in transition. So, he plans to stay in active ministry, and he definitely plans to keep working. If he’s really serious about that, I can recommend a church in the New York district that could use his personal attention. And since Trask has said he sought out “the Lord as to his will,” the question remains: what led him to seek the Lord’s will about quitting early? Maybe, after this week and Trask’s reading of a statement, we will have satisfactory answers. If you’re not fed up with my random and shaky speculations yet, stay tuned for the next post. Comments are open. You are free to take me to the woodshed now. ← I want to hear from you. Call me! One charitable thought toward Trask that I’ve not seen expressed is that he timed his announcement to minimize politicking for the position. Imagine how crazy the AG internet scene would have gotten with just a few more months! I think we hit the sweet spot this time – enough time to help people think clearly but not so much time that they began to campaign. Thanks for this well thought out post. I find you have said some of what has been swirling around in my guts, and put them into perspective. What a thought-provoking article. What I find interesting is that the AG (which I used to be a part of) has several districts where pastors have been upset because the district sups are “getting too much power” — they decide who’s hired, fired, in charge, running programs, etc. According to what you’ve said, and what I believe – it’s started from the top down. This is a pivotal election I believe for the Assemblies. As a matter of fact, this will have a direct impact on how future generations are impacted, and how the world is reached. We’ll see, come Thursday. Excellent work, and a great blog to boot. Rich – Great essay, but in the end will it really matter who the next superintendent is? Religion is so deeply ingrained in this denomination that nothing short of a massive revival could change it and last I checked, superintendents don’t lead those. Sorry to be cynical, but is half of your suppositions are true, the fact that we did not have turnover at the top years ago is an indictment in itself. AG leadership has become a career path, no longer a leadership position. Ok, that was a long post. Much of your post alluded to, implied, and speculated, about all sorts of ficticious reasons, none of which seem to be true. Thank you for writing that the Spirit compels us as leaders to do things. I have appreciated Pastor Trask’s leadership. 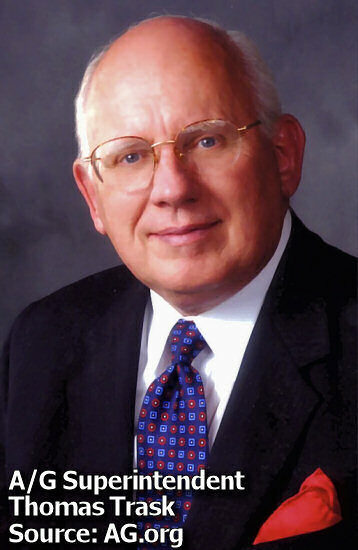 He has kept the A/G pentecostal and helped us not follow the pop Christian culture. But I also know that change is moving in the A/G. The Holy Spirit is into Change and does it all the time. I do hope we understand what it means to be Pentecostal in the 21st century, for it does not look like it did in Hot Springs (thank God). I am also frustrated with a lot of the A/G politics and leadership systems. I believe it needs reinvented to be more effective. Many of the District and national structures were put in place to meet the needs of churches 30 years ago. Well, churches and needs have changed, so must our systems. But I also have great faith that God is using our fellowship in a powerful way. He has a will and plan for us, and I am confident we will hear Him. No one likes change it seems, especially when it affects jobs, money, comfortable systems, and people loosing power, but change is inevitable, like it or not. Interesting read. You write well. If some answers were forthcoming besides the non-answers given by the administration, then the blog questions wouldn’t even be necessary, would they? What sophistry we have heard from some AG ministers over the last few weeks. Even if one asks what happened they are subject to judgment and harsh criticism. Elected officials have a responsibility to the clergy and laity of what is going on because they ARE accountable to ~them.~ It is sophistry to say they are accountable to God and God alone, and I have heard that from AG people lately. It shows just how far we have come over the last few years. The centralization of power and lack of critical thinking is alarming. Leaders have a responsibility to answer to their boss — those who elected them to their office. This latest action by the AG leadership has further eroded the confidence and trust of AG ministers and laity. Wait — we will we hear the same nonsense at GC. With all my heart, I disagree. The only answer I can give to why I came to Africa is that I was trying to follow the Lord’s leading in my life. It is the only answer I can give as to why I have stayed when it hasn’t been easy. I can look back at past job decisions, money we’ve given away, heavy decisions we’ve made that we knew would affect the lives of our children as well as ourselves, and say that when “why?” is asked about any of the biggest and the most important decisions of my life, the only answer that isn’t a non-answer is that I was trying to follow the Lord’s leading. Everything else was the stuff I had to push past to get to the point where I could believe I had heard from God, because only then does it become possible to have faith in what he said to me. Maybe, along with Tom Trask, I’m on the wrong side of a cultural divide. I can’t understand why this counts as a non-answer among people of faith. If our generation can’t believe that there are people who make decisions this way, is it because the human flaws of these decision-makers obscure the picture? Is it because high-profile failures or false prophets, the Balaams of our age, used the same words when those words weren’t true? Or is it because the observers haven’t lived it and have no point of reference? Please, friends, if you can still hear and accept a word of advice from the other side of the chasm, don’t be like the person who will never believe she is loved because the first person who told her “I love you” was a liar with a hidden agenda. There is real love out there and she will seek for it all her life, even if she never permits herself to find it. In the same way, there is reality in seeking the leading of God; He made us for a purpose and we will search for it all our lives whether or not we have faith enough to fulfill it. Unless we are all trying to do this, how is His kingdom to come in us? This is a great post! It says a lot of what I have only thought about thinking. Thanks for your thoughtful and insightful post. While I’m part of the “older generation” I recognize the need for our fellowship to make drastic changes immediately or slowly fade away into the dust. I do not believe that will happen, however I do see changes are necessary and will come. Revival will come, but it will not be like anything we have experienced before. God will orchastrate it this time alone and only He will receive the glory. For many of us waiting we can now truly say ~ Come quickly Lord Jesus. I am no Springfield insider by far, nor any of our staff, but the very first thing thought of when we heard of the resignation was, “Yeah, probably had a lot to do with that New York stuff that went on…” Whether any of that was true that we all received in our e-mail in boxes, one thing is for sure — true or not — it must have been a tremendous strain to those in leadership to go through all that, whether wrong or right. I’m sure anyone who knows about that who heard the “leading of the Lord” announcement wondered, “what percentage of this was the leading of the Lord and what amount was pressure from conflicts?” I know maybe it’s none of anyone’s business what percentage it was but let’s be real, it’s normal for people to wonder that. BTW … I don’t know if any of the things said by those who are no longer in the A/G about the NY situation are true. For all we know, all those attachments that were sent to credential holders are completely made up. I hope they are! I pray they are! For the sake of wanting to remain in the fellowship — and happily do — so I’m choosing to believe they are false, and stand by the A/G!! But if by some chance they are not, we’re in bad shape. And it will take a long time, fasting and prayer to fix. For the person who said of Rich, “Much of your post alluded to, implied, and speculated, about all sorts of ficticious reasons, none of which seem to be true…” let me just say that maybe you didn’t read the same blog post I did. His post included a zillion links to read the references of exactly where he got his information. It was basically a play-by-play timeline of what happened, and I don’t see how a whole bunch of DIRECT QUOTES and REFERENCES and LINKS can be poo-pooed as nothing but a bunch of implications or speculations. Half of these links I did not know about and it was very informative to click and get more to the story. Thanks Rich for compiling this information and also asking some very thought-provoking questions. Rich, thanks for the kind word, and thank you for pointing me here, I thoroughly enjoyed the read. Can someone shoot me an email with a link or something telling what the “New York Thing” is? And to others — Regarding the changes that you think God wants to do in the church in regards to structure, leadership and relationship; He is already doing it in other church movements that are not as religious and the AG. The idea that the GS can effect a revival shows how far the AG has come from people who sought holy living empowered by the Spirit. I have too much to write here. I am going to have to do a post of my own. Trask’s final keynote message as General Superintendent of the Assemblies of God was interesting and is well worth watching (summary here). In it, surprisingly, Trask highlights many of the problems with the Assemblies of God and contemporary culture that have been highlighted on this blog and elsewhere. “Father, we come to you tonight â€¦ I thank you for your Word. I thank you because your Word stirs us, it shakes us, it moves us, it helps us, it brings us to our knees and brings us to the realities of which you know. As the Church at Sardis, you said, “I know they works, I know that you have a reputation that are alive â€” but you’re dead.” I pray, oh God, oh God, please don’t let it be said about the Assemblies of God, “They have a reputation of being a Pentecostal church alive,” but while what I see, Lord, you’re saying we’re dead. Did I hear that right? Did Trask just say, during his prayer, that he hears God saying that the Assemblies of God is dead? Perhaps I mis-heard him. At any rate, he’s certainly concerned about it, given the context of his message, and his prayer not to let it happen. Watch, listen, or download here. Thanks so much for your thorough report. I would agree with most of it. I don’t know anything about the New York issue, and honestly don’t care. I know enough about personal friends, and my own experience in the A/G that substantiate most of the criticism you noted here. I truly am hopeful that someone will come and take the reigns, shake things up, and drive us back toward God (not just a pentecostal distinctive, although I am an advocate for that). I have only recently started attending an A/G church, after a 7 year absence and letting my license lapse due to hell on earth in 3 consecutive ministry positions. God help us all. Regardless of what happens at the national level, I’m still going to pursue God and lead my church in that way. Thanks, as always for a very thoughtful as well as thought provoking article. I wish I could write like some of you guys! While I have been in areas of the world the last month without cell service and internet service, I have been kept abreast of the happenings before and during GC by a friend who attended Fine Arts. All I can say is God help us get back to the place were we are not in this thing to gain a position, but that we would truly do ministry again because God called us, God anointed us and God has ordained us! George Wood placed a note at futureag.com…I have hope that maybe God will use him to be the transitional man the AG needs for this hour. But as carl said, revival will not come because of the leading of a Supt…it will come whn God’s people do 2 Chro. 7:13, 14! I sent you an e-mail…if you didn’t get it, contact me…and I’ll resend. George Wood is going to do great. He is progressive and listens with wisdom to all generations. This phobia that the young men will not be heard, or that the older generation is out of touch, is not warrented, but is the cry of every generation. As a younger guy (41), I don’t take my cues for my ministry from Springfield anyway. Do what God has called you to do, the way that you feel you should do it, and the fruit of your ministry will be the deciding factor of God’s touch on your life and ministry, not the General Supt. Hello. I am new to this site. However, today something just got to me and I decided to write. I was here when District Superintendent Saied Adour, a loyal minister of 47 years, driven out of his office and the AG denomination due to the illegal and immoral actions of Thomas Trask – something Trask still refuses to address. No one dared challenge the actions of the General Superintendent even though he clearly violated the Constitution and Bylaws of the General Counsel and the New York District. When did pastors become fearful of losing their positions in the AG if they questioned the action of their elected leadership? When did the AG become a hierarchy? When did the church cease belonging to the people and become the property of the leadership. These leaders are culpable for covering sin as are pastors for loyalty to denomination rather than Christ. And let’s not forget the laity (ourselves) for allowing it to continue. The A/G says it is a cooperative fellowship, different from a denomination. That is not our current reality. That is history. “Cooperative fellowship” used to mean we all agreed on the “16 Fundamentals” so we could cooperate and share our resources in each sovereign churches. Sure, the District was there for administration and got involved in case of problems, but nothing like the centralization (and abuse) of power we are seeing today. Look at the New York District, Duane Durst, Trask’s involvement, and the silent leadership of the presbytery. and you see a denomination engeaged in spiritual abuse and intimidation of its ministers and members. In the A/G church I last attended, the pastor began preparing the Yearly Business Report and had questions about the finances brought to him by little old ladies in the church. This pastor began serving the church in September 2004 and began asking for the financial reports through January 2005. Each month repeated oddly evasive answers concerning finances from an illegal board. The pastor had been asked to come to the church because it had plateaued long ago and was in serious decline (22 attendees in a 400 seat building). Attendees were never asked to become members before he arrived and when he did offer new member classes and all its privledges, the classes filled up immediatly and membership rose dramatically. After the pastor had been there about 4 or 5 months the church was showing very positive signs. Tithes dramatically increased as did attendance. There were dedications, baptisms, banquets, and new memberships which the church had not seen in 5-10 year history. All positive signs, and everyone except these illegal board members were pleased with the direction of the church. Prior to the new classes, they were the only members and the only ones who could vote on anything and everything. People who attended faithfully for literally 30 – 40, years who never became a member because of church politics became member during the pastor’s time of service in 2004-2005. One man, a pillar of the community and instrumental in actually building the church with his own finances said it all when he announced he had not respected a man enough during the last 16 years prior to the new pastor. Until 2004, he had never considered membership. When financial questions came up, the pastor went to the Board. This “Board” was not even legal “Board” according to church constitution and by-laws AND the state of NY. These men were ineligible per Constitution and By-laws and blocked everything from opening up the financial records to the congregation. When the congregation and pastor investigated further, they were threatened and harassed. The pastor served his flock, preaching, teaching, praying, visiting, encouraging while the “board” continued to write checks to one another from a church account. The pastor was threatened with violence during this tense time, someone broke his home, his wife’s brakes failed when she was driving her car, and his tires came off while he was driving his child to school. Then the pastor’s wife’s tire were slashed. With the church people thriving and reflecting and rejoicing on Resurrection Sunday, we all heard one of those men verbally abuse our pastor once again and attempted to physically attack him. There were no answers why except the speculation about the finances of the church. The District knew the man threatened the pastor and knew about the odd happenings. When I say the District, I mean Duane Durst and Mearle Grossglass. Initially the men threatening the pastor had a meeting with the District officials and were told by Durst they were indeed ineligible to be on the “Board” according to the constitution and bylaws of the church. Our church was so relieved. A legal election was held and 12 legitimate “Board” members were elected. Immedially the illegal “Board” removed the ballots, declared it invalid, and delcated themselves the board. They then changed the church locks and the newly elected board members were told they were not on the board – that was that. Then District Superintendent Duane Durst involved himself. Without informing the pastor he began his involvement and advisement with the illegal two man board. Outrageous! Instead of handling the suspected corruption of the church by illegal board members, Durst censured the new pastor for bringing the suspected financial improprieties it to his attention. Then he attempted many illegal activities himself. Besides advising the board members behind the pastor and newly elected leaders backs, he attempted to take the pulpit of their sovereign AG church. He declared he would come to preach at the church – without invitation and continued to correspond with the illegal board advising them. This further empowered the illegal board and heightened the weekly abuse levied against him and the parishioners. They changed the locks on the doors and refused admittence not only to the pastor, but to parishoners who were elected to leadership. When the pastor wouldn’t “play ball” with the district or the illegal board, he was offered a $15,000 bribe, a so called “severance package” if he would resign and go away. When he wouldn’t do it, the same illegal board which threw out the votes of the new leadership and locked the doors called for a meeting to throw out the pastor. Then they refused entrance to the dozens of members who supported the pastor into the meeting. Twelve people, eight of whom were family of the divisive illegal board, voted the pastor out and called it a legal meeting. So did Duane Durst. To my understanding, it all happened under his advisement. When the pastor objected to such outrageous action and lack of accountability of his district leadership, his ordination was revoked. If you google “Ray Barnett” and “Saied Adour” you will see the same thing happened to them in the same year. Durst and Trak are in all three of these incidents. Looks like policy, not isolated events. Maybe if it happened to one minister, it could be a mistake, but two? Then three? How many other districts have experienced the same thing and we don’t know about it because it hasn’t happened to us, or because ministers take the payoff, or because of intimidation? I have seen the documents where District leaders perjured themselves under oath in writing. And to my understanding, all of this was repeatedly brought to the attention of Thomas Trask, Woods, and Bridges. All of them replied it was a “district matter” and threw the pastor under the bus. Looks like policy to me. Trask has never addressed his involvement, and now excuses himself from these illegal and harmful activities with his resignation. No explaination, no accountability to the people. Nothing. That is unacceptable. It is not accountability. It is spiritual abuse and the AG is looking more and more like a cult. I have never set foot in another AG church upon coming face to face with the true face of its leadership and how they treat ministers who put everything on the line for those they serve. “If Trask stayed on the only continuity would be provided by Alton Garrison, the newest member of the team.” Please!!! (“newest member of the team” – Please!!!). One of, if not the “biggest” and “oldest” politicians (continuity…please!) in the Assemblies of God today! Great “directorship” but wayyyyyy short on leadership (force feeding is not scriptural)! Enjoyed reading ALL comments on your site and conclude with…Onward Christian Soldier! “Former” A/G member of 28 years. I sat under Dr. Garrison’s pastoral leadership for 15 years. My dad served as a deacon for many years on the board while Bro. Garrison was pastor and has nothing but good to say about him. Garrison was a great pastor and leader. One of the tributes to his leadership is the team he brought together that continues to lead the church to new heights 6 years after he was elected to district leadership. I don’t know what you’re talking about with your “force feeding” comment. You can’t just come in here, cast blanket aspersions at a leader, and not back up your claims. One should not be easly offended, proud or puffed up upon reading blog. It is not my intent to offend anyone. My comments here are nothing more than a mixture of facts and opinion. Now, I have found that hastily given opinions are like rear ends, everyone has one, some stink worse than others. However, everyone is entitled to have one…just the way we were created you understand. God forbid that we not consider all, but when we consider, let us consider them with truth. For it is with truth that we are set free. The use of the word “aspersions,” sent me to the dictionary. To tell you the truth, I thought it had to do with Baptism but, not being sure, I had to look that word up! My dictionary reads, aspersion: 1) “an oblique assault on a person’s reputation” 2) “a sprinkling with Holy water.” Well, certainly one would not suspect a problem with “a sprinkling with Holy water.” If the word “aspersions,” refered to “an oblique assault on a person’s reputation” then I must say. My facts and opinion base is very straight and nothing intended to be “oblique” about it. And, my facts and opinion base is not to be misconstrued to be an “assault.” A person’s “reputation” is the general opinion held by people about the merits of demerits of that person. Man’s reputation can speak for its self based on his walk in life. That walk should be as Christ like as possible in truth and light. In truth and light there is no fear of condimnation. In closing I can only say, I’m already on the Hwy so have it your way. No one on anyone’s “team” wants to really see my back up. â€œFormerâ€ A/G member of 28 years. It may seem weird coming from a Pentecostal of a different organization, but I am still confused by the Trask resignation. Is there any logical explanation on why he resigned, or to even mention why another one is being elected long before the term is over? I don’t intend to argue about the beliefs of the Assemblies of God, as I vowed when I became a UPCI minister that I would not bash any Pentecostal churches that believe differently than our alliance of Pentecostal churches, including the UPCI. I just leave the salvation plan to Acts 2:38-39 and some others linking back to it, no more or less. You know, we’d have a hard time trying to find a replacement if Kenneth Haney either resigned for personal/health reasons or if he died. Neither of our assistant superintendents have said they would be ready to take the reins if a Haney resignation was inevitable. I just pray for the new leadership. Interesting. I wrote his office with proof of corruption of a senior official in the Northwest District and got back the most abusive response. When I sent another letter I was immediately contacted by Trask’s office’s attorney and told not to try to speak out again. I was threatened to keep silent. 1) Do you feel your district takes complaints of abuse seriously? 2) When district leaders violate trust and REPORT to pastors and other people the names and stories that victims gave—stories that were promised would be kept in strict confidence—what do you think should be done? 3) When Trask’s office refuses to even allow evidence of massive theft—is it any wonder why the denomination rots with corruption? I am glad the guy is gone. In fact, his leaving is eerily close to the time I wrote and demanded action. 4) Do you feel the AG’s policy on pressing charges against pastors in consistent? I have heard of situations where charges were pressed for minor crimes and yet when one pastor stole upwards of one million dollars no charges were filed!!! The District refused to press charges, secretly gave the pastor years to pay it back and THREATENED to throw people out of the denomination who were pressing for charges to be filed. 5) Do you think one man stepping down is going to change anything? The AG still loves to claim that brother shouldn’t sue brother….but those gorilla lawyers sure come in handy to harass victims into silence now don’t they? !